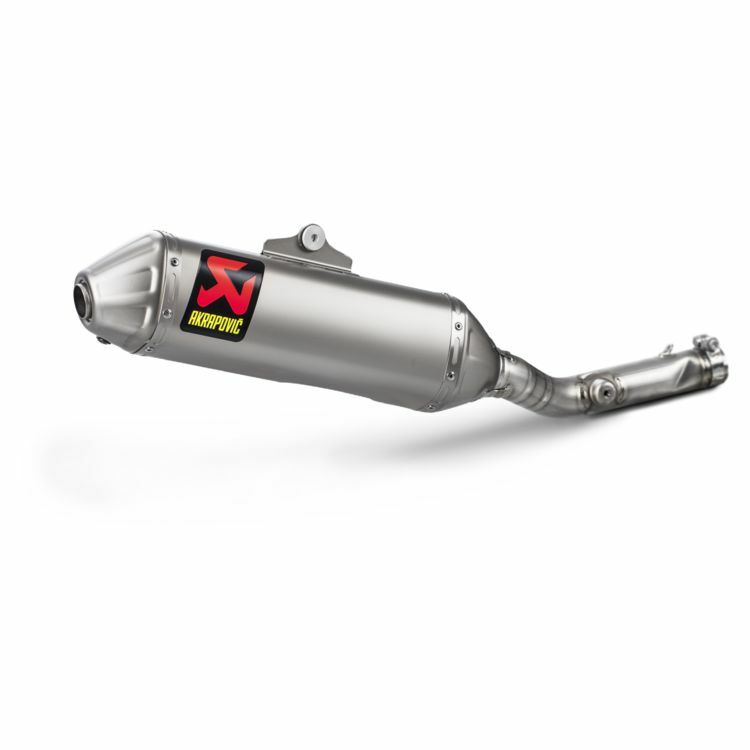 The Akrapovic Slip-On Exhaust was designed for off-road riders and delivers an outstanding combination of performance, design and durability. Akrapovic's air-tight quality controlled and state-of-the-art production facilities are second-to-none in the motorcycle world, this ensures their pipes are perfect. Each Akrapovic off-road muffler features a special coating on the outer sleeve giving them greater scratch resistance and allows for easier cleaning. This coating combined with the titanium end cap and welded on titanium exhaust bracket means this exhaust will last and perform season after season.